Greetings dear readers! I don't have a lot of time, but I did want to get a quick post up for you. I love eye shadow palettes, and I was eager to try out the Demeter Goddess Eyeshadow palette by Kiss New York Professional and share my thoughts with you. Let's jump in! The Demeter version of the Goddess palette consists of 12 warm-toned shades ranging from pale peach to gold to green and a few other earthy shades thrown in the mix. 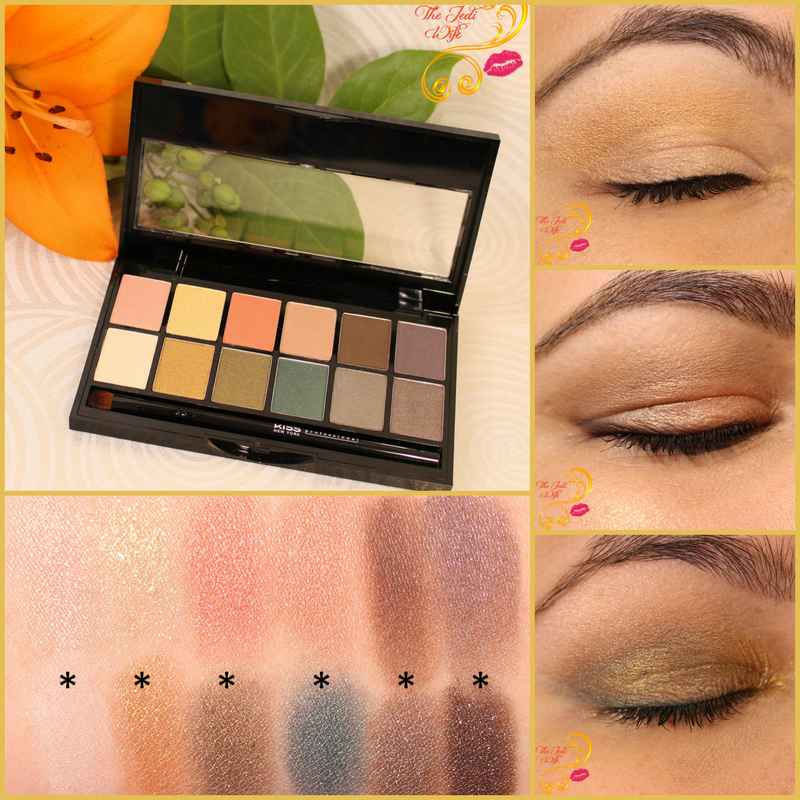 The colours in this palette are gorgeous and some of my personal favorites when it comes to eyeshadow! With a price point of only $16, the price was just right for me to splurge just a little and not feel bad if this didn't work out for me. The question is: is this palette any good? Let's get a first look at the colours. 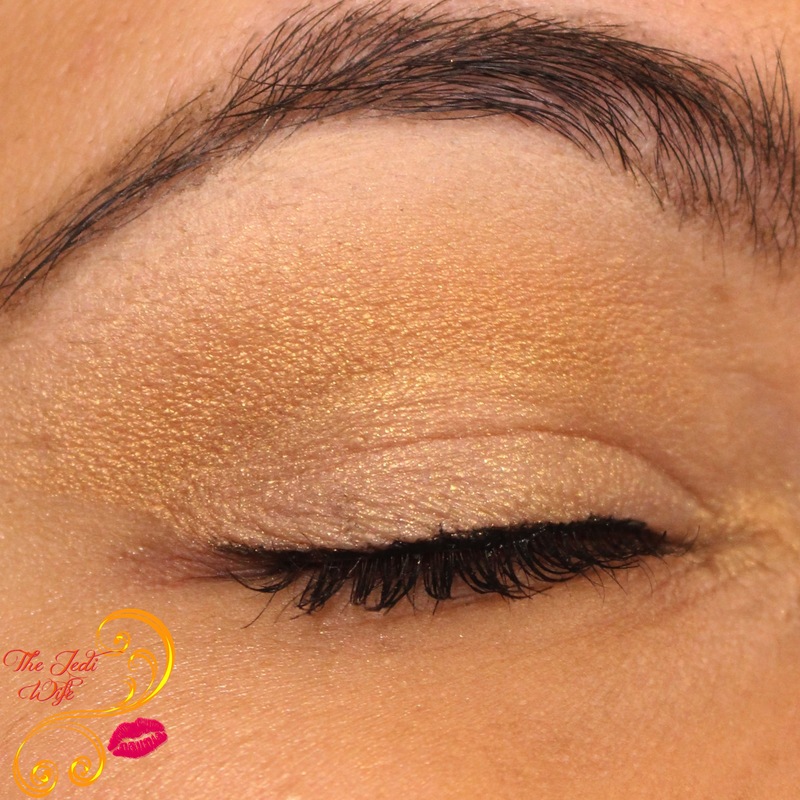 I wanted a quick and easy day look, and I opted to embrace my inner golden goddess for this look with both the light and darker golds. 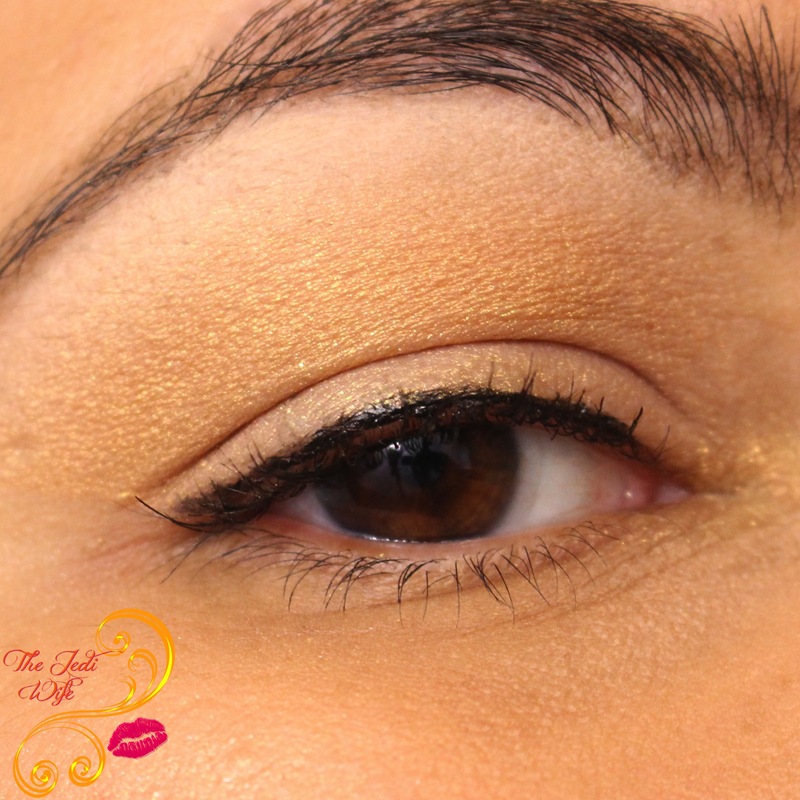 Both shadows applied well although the lighter gold is a little patchy with application. My camera really picked up the shimmer and exaggerated the patchiness for the photo above. 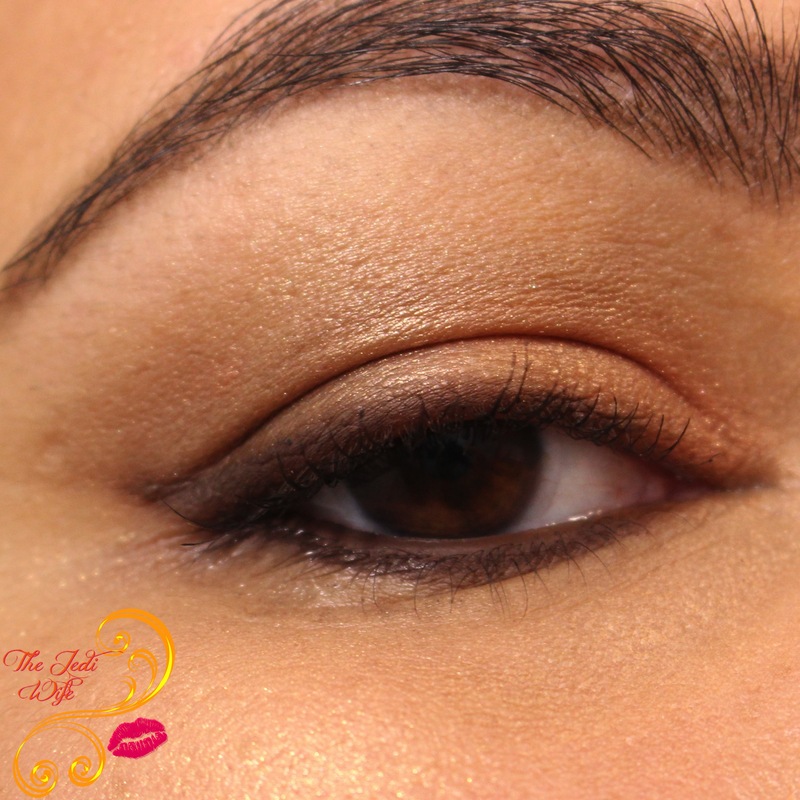 For my second look, I stuck with the coppers and browns for a fabulous earthy look. 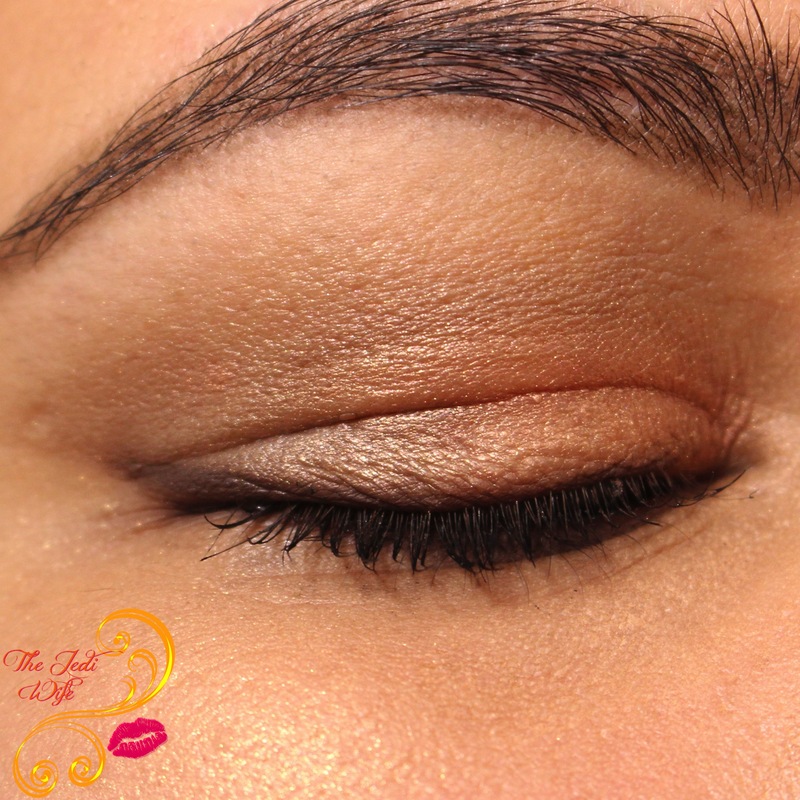 I also used the brown eyeshadow in the palette to line my eyes to keep the look subtle. I personally think I look ridiculous when I try to use the popular pinks and cranberries on my eyes, and this coppery version is more my style. I would wear this look every day if I didn't like to play with my makeup so much! For my final look, I wanted to up the drama while still keeping a look I felt comfortable wearing during the day. 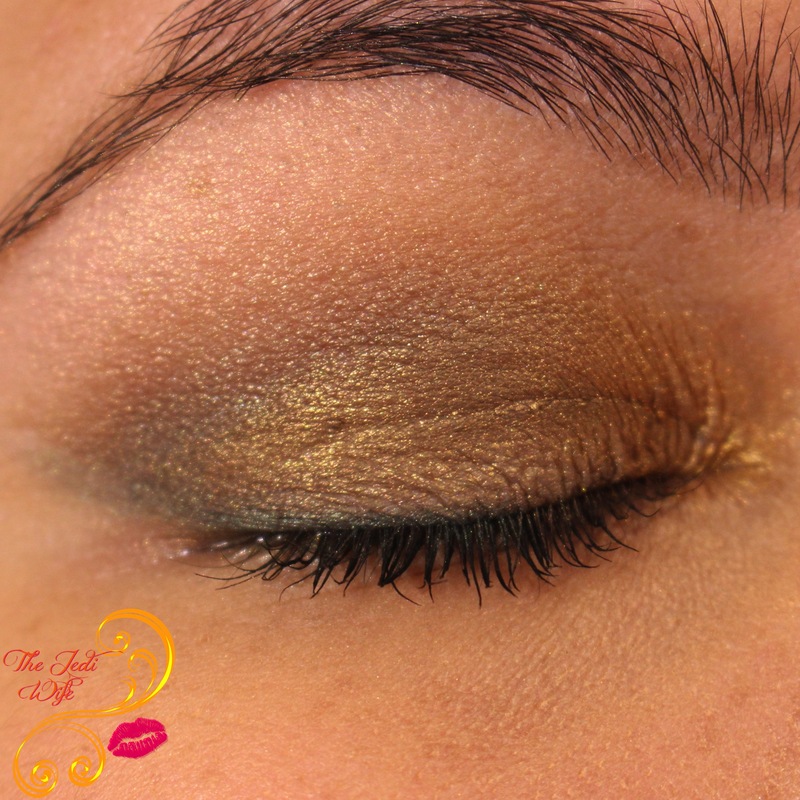 I love pairing golds and olives together, and since the shades were in this palette, this look just begged to be created! 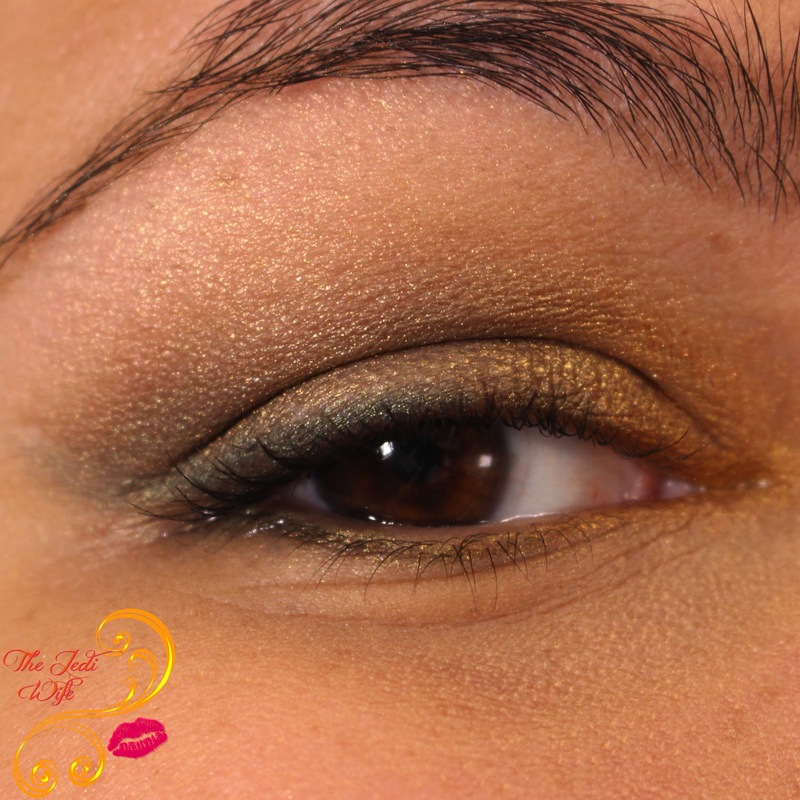 I added some brown to add depth and lined my eyes with the olive eyeshadow. While this look is a little more dramatic than I personally prefer for an everyday look, I do love how this turned out! I definitely felt like an earth goddess while sporting this combination! I am really glad I decided to try out this palette! The eyeshadows have pretty nice pigmentation and the colours are lovely! Some shades had a little fallout, but it was easy to clean up and won't keep me from grabbing for this palette again. These eyeshadows applied easily in general with the lighter shades having a little bit of patchiness, requiring a little extra attention for application. I'm definitely planning to play around with this palette more in the future! I love that the price is so affordable, and with my normal eye primer and setting spray routine, my eye makeup stayed in place and remained nicely pigmented all day long! I'm definitely going to be picking up more products from Kiss New York Professional in the future! There are three different Goddess palette options, a variety of single shades, and newer Hexa Eyeshadow palettes to choose from, so if the Demeter Goddess palette isn't quite your style, Kiss New York Profession has other options for you! 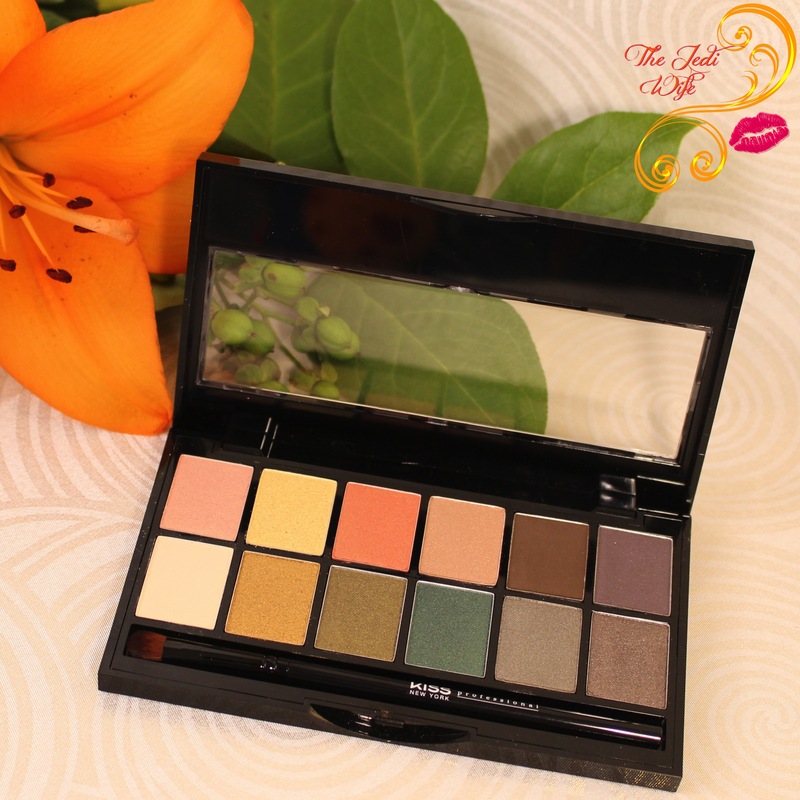 Have you tried any of the eyeshadows or eyeshadow palettes from Kiss New York Professional? What colours are your favorites? I'd love to hear from you! I love palettes like this that have a lot of wearable colors. 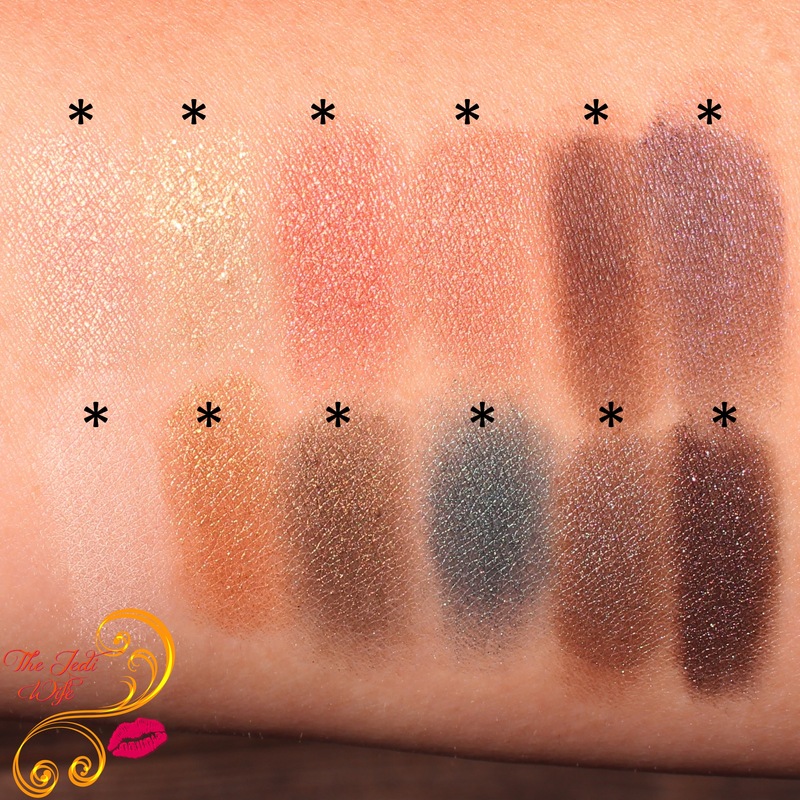 I love the darker end of shadow palette you swatched. I have plenty of nudes, but those dark shades are interesting. I love your drama look! Beautiful! I haven't tried any Kiss New York Professional palettes, but I'm such a neutral kind of gal. Ive never heard of this brand before! These warm tones look lovely on you. Love the neutral shades in this palette! 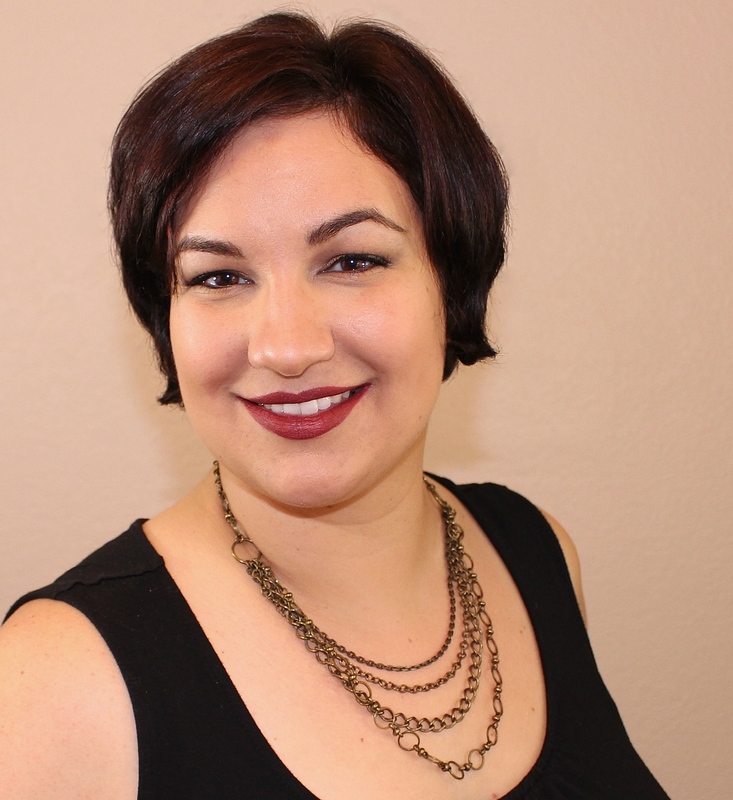 Gorgeous pairings on your looks, happy to hear they're mostly well pigmented! It's a nice neutral palate but I think I have dupes of them all. To be honest, I wasn't impressed by the palette until I saw what you did with them. Beautiful!! Very nice palette and coming from Kiss, a great price point! Those are all pretty. I'd use them all except the blue.